The OWL franchise has added another player at the support position. 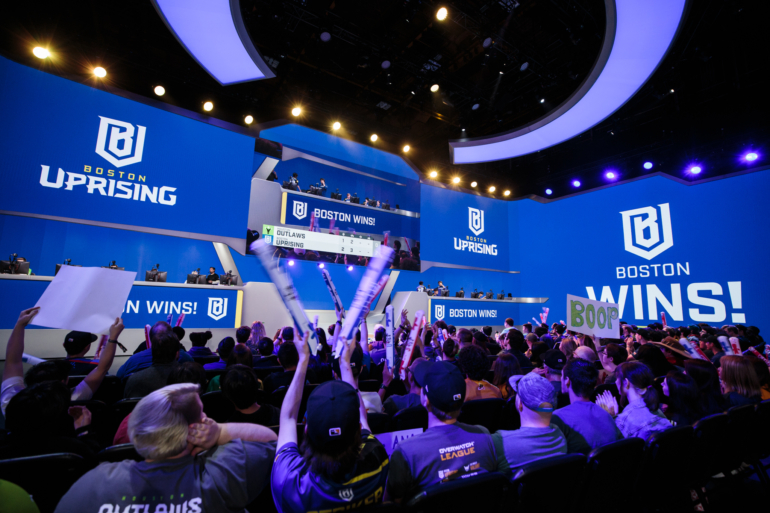 A day after releasing DPS star Jonathan “DreamKazper” Sanchez, Boston Uprising has added a new player to the roster. The New England franchise has signed Min-seok “AimGod” Kwon of Korea, bringing their roster once again to ten players. AimGod is not a replacement for DreamKazper though, who was released amidst allegations of sexual misconduct. AimGod is instead extra coverage at the support position, joining Boston’s existing quartet of support players. “We are thrilled to announce the signing of Min-Seok ‘AimGod’ Kwon,” Chris “HuK” Loranger, president of gaming for The Kraft Group, said in the announcement. “With the trade window closing, we wanted to add an extra layer of depth and security to our roster going into the last legs of the season. The signing was completed on April 3, according to the team. The Korean joins Mikias “Snow” Yohannes, Kristian “Kellex” Keller, Se-hyeon “Neko” Park, and Connor “Avast” Prince as the fifth support player on the Uprising roster. AimGod comes to the Overwatch League from Meta Bellum in Korea, having participated in Overwatch Team Story and the Korean qualifiers for Overwatch Contenders with the roster.